I found your web site and love the interviews. 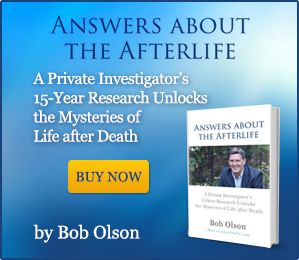 But how do I find a credible person who can facilitate a past life regression? 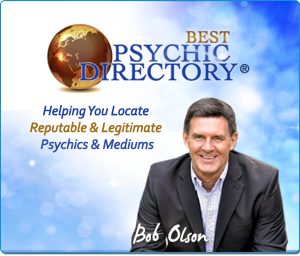 Your sites seem to have lots of information regarding psychics and/or mediums, but perhaps I’m missing the detailed info re: past life regressions. Thanks, Bob. I must laugh when you say that some people in this field don’t have great websites because, in my brief search thus far, the vast majority of the sites don’t inspire confidence (ha,ha). 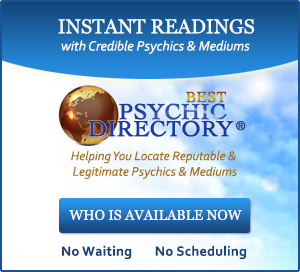 I would suggest to any mediums or psychics that the very nature of their work is all the more reason to have a site that is elegant in its simplicity and feels modern (i.e., a site that feels like it was designed this year rather than in 1996). There are a lot of very nice, simple WordPress themes that won’t break the bank and look a lot more sophisticated and adult-like than many of the sites I’ve seen thus far. Honestly, many of the sites I’ve seen thus far appear to have been designed by … well … people who might design the cover of a romance novel (and if most of your clients like this type of design, then you can ignore all that I’ve said because I know nothing about your business). If I sound like I’m being harsh it’s only because so many of the site designs are unappealing. If you are holding yourself out as offering a service and expecting/wanting your web presence to bring in new clients, then that web presence has to look right. You have to explain what you do; and even though you’re operating in the ethereal world, if that is predominately the language used in your site it won’t grab the person who is trying to evaluate whether they are right for you and vice versa. Explain your process; explain what a person might get from it; don’t be afraid to write more than one or two paragraphs, if such detail is required. I think your site and your on-camera presence — plain background, plain dress, plain talk — ought to be taken note of by many of the people whom you have or might interview. Thus far, I have found a site by carolbowman.com which provides a lot of information about who she is and what she does and how she does it; it seems to be the best site in this area I’ve viewed thus far … I would also suggest to mediums and psychics that many people are not deeply familiar with the iconic techniques nor personages in their field; thus, to say that you are Rakeih (sp?) Master or Studied This Technique or That Technique or studied with X Luminary has little meaning without explaining what these things or people mean. 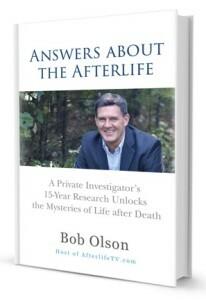 One of the things I like about Carol Bowman’s web site is that it seems to be principally about one thing: past life regressions. I’m a little wary of people who seem to try and cover too many areas of expertise; either that means that they’re giving the different names to the same thing or perhaps are spreading themselves too thin. 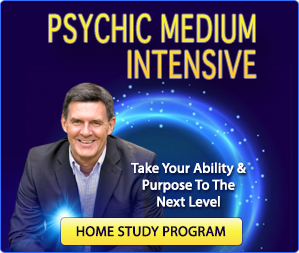 I don’t mean to suggest that a psychic can’t also be a medium and have other skills; but you’ve got to show me that you’re really good at all of these. But these are just my impressions. Perhaps I’m incorrect, but this what many of the sites feel like. If I might, on a different note, I’d like to recommend that you intereview Stephen Schwartz (http://www.stephanaschwartz.com/). He wrote a book called “The Secret Vaults of Time” that is one of the more fascinating and compelling books I read (“Stephan Schwartz has written one of the most compelling books which has come to my attention for a long time…It is a delight to read him,” wrote Hugh Lynn Cayce, Chairman of the Board Association for Research and Enlightenment). The topic of the book — how people used remote viewing in archaeology — might at first sound far removed from the focus of your site; but the stories recounted in this book are stunning and powerful, and directly relate to the question of us knowing things that we otherwise shouldn’t know. 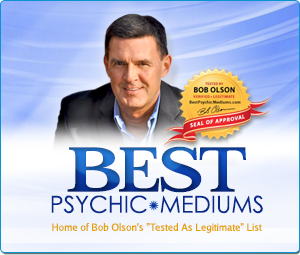 Anyway, just a suggestion … and, as said before, keep up the great work; and I will check out your video on choosing a psychic or medium. I really appreciate all of the work you do on this subject and the information and resources that you provide to the public. Since you have by now had many, many readings from many different psychics and mediums, as well as past life regressions, I wanted to ask you a question. Have you found the information that you have received from all of these different sources to be consistent with each other? In other words, have you ever received information from one medium which seems to be directly contrary or in conflict with the information you received from another medium? If so, how do you reconcile the inconsistencies? I am fairly new to this area, and am exploring the different sources available to help me gain a better understanding and make meaning of my own heart-breaking losses. I greatly appreciate your help.